Hi guys! I’m doing a part time job. I’m doing this for experience and to also earn money as well while I’m studying. I was convinced by my friend to do this. Her mother is a licensed broker and we’ll be an agent under her team which is the Achievers, under the Matix Reality. Last nov 10, we went to SMDC Head Office Two-Ecom Center at Pasay to attend their Orientation for New Entrepreneurs and to sign some contracts. The joy of Tagaytay living has reached new heights.Get away from the hustle and bustle of city life – come home to SMDC Wind Residences Tagaytay! The 15-hectare Wind Residences by SMDC is located in the cool surroundings of scenic Tagaytay City, a premiere destination for both local and foreign tourists. Imagine you and your family living in a vacation spot such as Tagaytay, with its fresh mountain breeze and panoramic view of Taal. Imagine waking up to a perfect morning. Feel the cool breeze and smell the scent of pines as you step outside your balcony and to make this relaxing morning even more perfect, you have the majestic view of Taal Lake. This picture-perfect view of Taal Lake can now be yours, right from your private balcony. Your very own vacation condo in Tagaytay! In the most prime part of this famous vacation city: The future site of SM’s newest shopping and dining destination along Tagaytay’s main highway. SMDC Wind Residences Tagaytay is a mid-rise resort residential development of SMDC along E. Aguinaldo Highway, Maharlika, Tagaytay City and has ten 20-storey towers – safe, secure, and peaceful against the backdrop of the countryside. Enjoy a weekend getaway from the pressures of city living at SMDC Wind Residences Tagaytay – perfect for the family looking for comfort, security and relaxation. It’s everything you ever dreamed of in a resort-like condominium living! Experience leisure living in scenic Tagaytay City now made affordable by SMDC. Be one of the privileged few to own the best view of Taal Lake. Distinct Features that will attract Home Buyers to Invest in SMDC Wind Residences Tagaytay 1. IDEAL LOCATIONIts cool weather, tranquil countryside landscape, clean streets and just 2 hours away from Manila means you can take that much deserved break whenever the opportunity presents itself. Wind Residences is just a few steps away from tourist destinations. 2. AFFORDABLE SECOND HOME Compared to single-detached homes, leisure condo such as SMDC Wind Residences Tagaytay provides a more affordable option for those who want a second home outside of Manila. It is a better alternative to staying at a hotel for families and individuals who frequent nearby Tagaytay for quick vacations. For retirees, this is an ideal second home where they may enjoy a leisurely life after dedicating decades to their careers. Enjoy various games and sports at the sports facilities; take a relaxing dip in the pool, or an invigorating sprint around the open areas of the property. One special feature of the development will be the sky lounge at the roof deck of Tower 3. This will provide future residents with 360-degree views of the entire Tagaytay, Batangas’ Mountains and Manila Skyline. The sight will be comparable to the stunning panoramic view in Palace in the Sky. All Towers of SMDC Wind Residences Tagaytay welcome its resident with a hotel-like lobby at the ground level, with a Five-star quality Concierge services such as housekeeping, unit leasing and general maintenance. The pleasure of city living in your neighborhood – the upper ground floor of each tower is a Sta. Monica Boulevard inspired commercial strip and inter-connecting rows of fine dining restaurants and cafes. Tagaytay is a rising community and the nearest vacation getaway from the Metropolis. SMDC Wind Residences Tagaytay is on a prime location, like everyday pleasure exactly within your community. Pre-selling stage gives you an opportunity to invest at a very affordable price. Worry-free leasing advantage with the help of our Property Management Group, while simultaneously enjoying the comforts of your Tagaytay home. For Investors, rental rate is guaranteed. The strategic location of Wind Residences is a good investment opportunity because the south is now being developed to be the next Makati. Plus, a lot of people go to Tagaytay for its cool weather that never changes throughout the year; not to mention, its fresh air and cozy ambiance. Lastly 15 minutes away from WIND RESIDENCES is the Monte Maria site where the healing priest Fr. Suarez held mass every weekend for 10,000 people. These people needs a place to stay for the day and therefore, the rental of your unit will be vouched. Field Residences Paranaque by SMDC is a master-planned community inspired by modern tropical designs. Colorful gardens, picturesque amenities, pools and pathways highlight the vast landscape where your kids can safely run around and play, creating the feel of an exclusive luxurious village. Conveniently located behind SM City Sucat, shopping, dining and entertainment venues are easily within reach. SMDC Field Residences Paranaque is designed for newly weds, young couples and start-up families who would want to grow in a space they can truly call home to raise the family. Because of its superb location, just a stones throw away from the airports and medical institutions, it is a perfect place also for young professionals such as pilots, flight attendants and medical practitioners. The project is also a very good investment opportunity for rental / leasing income because of its strategic location and would appeal also to Oversees Contract Workers looking for an investment opportunity and/or an upgraded home for their family. Life flourishes when space is abundant. Space. A vast haven. A tranquil oasis. An expanse that lets people find themselves, unleash creativity, rear a family, play and live. Now you can find this kind of space directly behind SM City Sucat in the progressive city of Parañaque, amidst the plains of SMDC Field Residences. Experience a suburban sanctuary at Field Residences Paranaque by SMDC. Luxury Living in Southern Metro Manila. 3. SMDC Sea Residences Pasay – The Shopaholic’s Dream Home Beside SM Mall of Asia. Sea Residences Pasay by SMDC is a bold new concept in urban living within the Mall of Asia Complex. Six towers house spacious condominium units offering spectacular views of either Manila Bay or the stunning Makati Skyline. And inside the six-tower complex, you’ll find a lush tropical oasis with trees, swimming pool, playgrounds, a clubhouse and more providing a fresh and relaxing atmosphere. Sea Residences Pasay by SMDC is a 15-story, six-tower residential condominium project of SM Development Corporation, located at Lot 4 SM Business Park, Diokno Blvd., at the hub of SM Mall of Asia Business Complex, in Pasay City, Metro Manila, Philippines. It is situated at the back of Building E and F, Teletech Call center. It has 2,580 residential units and 24 commercial units. It is a premium residential condominium were everything you need is just a stone-throw away. It is just a few-minutes drive to the domestic and international airports. With its strategic location, rental rate is guaranteed for investors. Live in a place where you can achieve urban work-life-balance with ease. Within the community lies a tropical alcove flanked by greeneries, swimming pools, playgrounds, a clubhouse and more. SMDC Sea Residences Pasay is a bold new concept in condo living as it allows residents to experience the conveniences of the city against a backdrop of the sea and a dash of green. Come and experience tropical living within the city at Sea Residences by SMDC. The six towers house well-designed condominium units from where you can enjoy the best views! 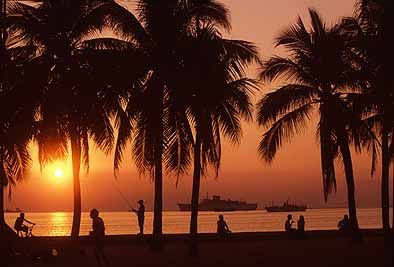 Residents can choose among the scenic views of the awe-inspiring sunset of Manila Bay, the stunning Makati skyline, Cavite View or Pagcor City. Experience city living with a dash of green at Sea Residences Pasay by SMDC, a modern tropical-inspired mid-rise condominium by the Manila bay. Featuring a vibrant lifestyle, Sea Residences is characterized by a luxury of breathing space and garden greens, and the convenience of condominium living in a natured inspired setting providing “Quality Development” right into your neighborhood. Everyday worries simply melt away when you live high above Makati,Located on Jupiter Street corner Nicanor Garcia, SMDC Jazz Residences Makati is just a stroll away from Sen. Gil Puyat Avenue in the country’s premier business district of Makati City. Upbeat and lively – these words best describe the lifestyle offered by SMDC Jazz Residences Makati. The condominium complex features four 41-storey buildings, each one with an unobstructed view of surrounding cityscape. This is the biggest resort-type development in Makati – 2 Hectares with 65% open space! SMDC Jazz Residences Makati will have a lifestyle center with a big SM Hypermart, restaurants, banks and other commercial stores for homeowners’ convenience. Prospective residents can choose among four different one-bedroom units and a two-bedroom unit. Residents can readily enjoy the variety of Makati’s restaurants and bars, making nightlife more exciting than ever. At SMDC Jazz Residences Makati, you can live the thrilling high life, high above Makati. SMDC Jazz Residences Makati is the epitome of a good investment. Steps away from EDSA-Boni MRT Station. Minutes away from everywhere. All in vibrant Mandaluyong. Three 40-storey towers will brighten the Mandaluyong horizon – The SMDC Light Residences. Located on EDSA corner Madison Street in Mandaluyong, residents will definitely live a sparkling, exciting and fun lifestyle. SMDC Light Residences Mandaluyong is the biggest resort-type development in the area – 3 Hectares, 65% open space, 5 swimming pools. It will have a lifestyle center with a bi-level SM Hypermarket, a podium level, restaurants, banks and other commercial stores for convenience. It has a direct access to MRT Boni station for convenient city living. Whether you take your car, ride a bus, or take the MRT, the bustling commercial and business districts of Mandaluyong, Makati and Ortigas are just a few minutes away from this centrally located complex.The view from the upper floors is breathtaking, especially at night when the building lights of the neighboring cities illuminate the skyline like stars beckoning to a traveler.Studio units, three types of one-bedroom units, and two bedroom units are available for the discerning buyer. Target Market – End-users and Investors (Professionals working or doing business in the business districts, particularly in Makati, Ortigas, Bonifacio Global City and Rockwell Center. Come home to SMDC Light Residences Mandaluyong, a modern high-rise building, where you’re just minutes away from everywhere, all in vibrant Mandaluyong. Address: Edsa Cor. Madison St.
Look forward to the promise of the good life, at the crossroads where life, leisure and modern conveniences meet. Along bustling Aurora Boulevard across SM City, this four-tower high-rise condominium development is set to change the Sta. Mesa skyline. It’s the quintessence of modern living. SMDC Mezza Residences Sta Mesa Manila, a four-tower 38-storey residential condominium development of SMDC, rises at Aurora Boulevard corner of Araneta Avenue and Guirayan Streets in the heart of Sta. Mesa, Quezon City, Metro Manila, Philippines. Choose from our One-, Two- and Three-Bedroom units or Suite / Penthouse units, all designed with the modern family in mind: spacious living areas, high ceilings and picture windows. With SM Sta. Mesa readily accessible from a private bridgeway, and the added convenience of having your very own supermarket, shops and cozy dining places at the Mezza Strip, modern living has never been this pleasurable and convenient. The impressive SMDC Mezza Residences Sta Mesa Manila is suited for young professionals yearning for their first taste of independence or starting-out families seeking a place to call home. Feel right at home, in a place where the good life is all under one roof – yours. SMDC Mezza Residences Sta Mesa Manila is metropolis living at its outmost convenience. SMDC Mezza Residences Sta Mesa Manila. Living the city life to the fullest. At the heart of life. Surround yourself with an oasis of green and blue, an oasis of lush foliage and crystal blue pools. Revel in the amenities of country club living. Keep in touch with nature, with the help of cutting-edge green architecture and expanses of lush grass. Feel at one with nature even while indoors. Each condo unit at SMDC Grass Residences Quezon City is specially designed to bring the outdoors in, with louvred doors and picture windows that allow you to take advantage of fresh air and natural light. Check out our airy but still amazingly affordable one-bedroom, two-bedroom and three-bedroom units. And enjoy the lushness of condo living–with plenty of room for your family to grow. Fully Furnished – The unit is fully furnished like a hotel. A hotel-like unit captures both the local and balikbayan markets. Very Accessible– The project will stand at the back of SM North Annex and will have a private bridge way that will connect it directly to SM North Edsa. Furthermore, the Grand Central Station connecting 4 train lines including MRT, LRT1 and the proposed LRT7 and MRT-4 will be built in front of SM North EDSA by 2010. Pres Arroyo has already made this plan official. Prime Location – SMDC Grass Residences is strategically located beside the future Quezon City Buisness District to be developed by Ayala similar to the Bonifacio Global City. Click here to see official news: Ayala Land, NHA to jointly develop P22-billion Central Business District in Quezon City. Has Country Club Like Amenities – The project has 5 swimming pools, 6 badminton courts, a full sized basketball court, and over 75% of the land dedicated to amenities and open space. There is no other resort-type development in the market beside the mall that is as affordable as SMDCGrass Residences. Affordable – SMDC Grass Residences Quezon City offers very flexible payment term with no outright down and no balloon payments. The investment’s rental income will pay-off a big portion of the monthly amortization.This is the beauty of a SELF-LIQUIDATING INVESTMENT. After the bank loan term or even earlier when the rental income surpasses the monthly amortization, the investment willearn continuous PASSIVE INCOME. Share this to someone who is looking for a very good investment that will BEAT the bank savings interest rate by 40 times, the Time Deposit interest rate by 10 timesand mutual funds by 3 times!!! There’s nothing more soothing and refreshing than the sight of lush trees, verdant grass and refreshing blue water. That’s why SMDC Grass Residences Quezon City is a distinctive condominium development that devotes an expansive 75% of its total area to create an ambience of verdant nature in the city. Imagine the joys of living and playing amidst 2.5 hectares of green space designed for you and your family’s outdoor recreational pleasure and relaxation. Enjoy green living in the heart of Quezon City. SMDC Grass Residences Quezon City. Creating an oasis where your family can grow – and prosper. Princeton Residences by SMDC is a forty-two (42) storey condominium development in upscale and premium New Manila, that caters to your need for space – a halfway house to professionals or home to students, singles, couples or young families. It is mainly marketed to students and families whose children go to school in Aurora Boulevard. From your unit, you can enjoy the view of the cityscapes and lights of Manila. Enjoy the air of exclusivity and security that this side of the city offers. Nothing can beat the accessibility and convenience of the 42-storey Princeton Residences’ prime location – the top-class development that sits right beside the LRT 2 Gilmore Station. SMDC Princeton Residences Quezon City offers spacious living areas in one and two bedroom units. Each unit combines picture windows and high ceilings, giving you room to stretch out and enjoy your space. SMDC Princeton Residences Quezon CIty is just around the corner of Gilmore’s cyber hub and only a few minutes away from Greenhills Shopping Center, Araneta Shopping Center and Tomas Morato Restaurant Row. Young professionals and start-up families who want to be in the center of the chic urban lifestyle will find SMDC Princeton Residences Quezon City perfect for their everyday living. SMDC Princeton Residences Quezon City offers five-star homes in a prime location but at affordable prices. SMDC OFFERS YOU A NEW AFFORDABLE 5-STAR HOME TO LIVE IN… YOUR OWN HOME… YOUR OWN SPACE… YOUR OWN PLACE…. 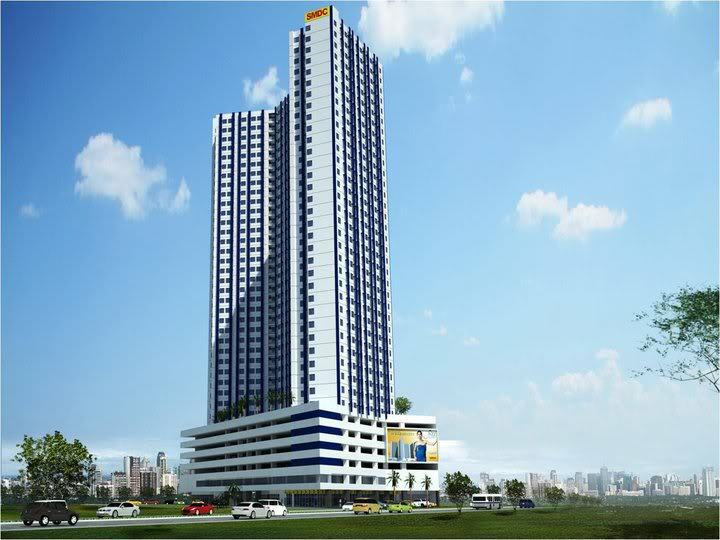 SMDC “MY PLACE” – South Triangle Quezon City is a 28-storey condominium that offers the lowest unit price. This is the first project under the M Place brand. SMDC aims to make luxury homes even more affordable in the My Place project with new style, design and engineering. This project is SMDC’s move towards alleviating the housing demand in the Philippines. Target buyers are young upwardly-mobile urban professionals (yuppies) looking for a place to live and to own within the busy active streets of Metro Manila, specifically Barangay South Triangle, the heart of the entertainment center of the Philippines. South Triangle is the home base of the two biggest networks ABS-CBN and GMA7. The project will also cater to call center agents wanting to move out of their parent’s homes and investors interested in leasing the units to offer dormitory-type accommodations. SMDC My Place – South Triangle Quezon CIty is the dream place to be in Quezon City. Experience the vibrant warmth of living right in the heart of the metropolis. SMDC SUN Residences Quezon City – A premium residential condominium where everything you need is just a stone-throw away. The two 43-storey towers offer studio, 1 bedroom or 2 bedroom units to make life more comfortable for would-be residents. It is designed to suit the needs and life-style of college students, academicians, professionals and even families. SMDC Sun Residences is located along España Boulevard corner Mayon Avenue, Manila – more famously known as Welcome Rotonda. Because of its strategic location,SMDC SUN Residences Quezon CIty provide a very good investment opportunity. Residents can enjoy to choose among the scenic views of MANILA, QUEZON CITY and MAKATI / AMENITIES VIEW. Indeed, at SMDC SUN Residences Quezon CIty, life meets luxury at the vibrant gateway between Quezon City and Manila. 1. 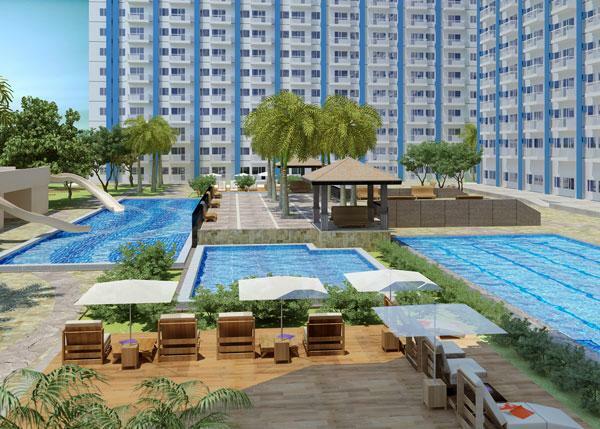 Blue Residences Katipunan already has a lisence to sell. SMDC Blue Residences Katipunan is a 41 storey – single tower development with modern tropical design at the corner of Katipunan and Aurora Blvd in Quezon CIty, Metro Manila, Philippines. It is the latest prime high-rise residential condominium offering of reputable developer SM Development Corporation (SMDC) near Ateneo de Manila University. It has complete range of resort-like amenities that residents can enjoy.Earn your degree in comfortable living at Blue Residences, by SMDC in the heart of Quezon City’s prestigious university belt. Located along hip and happening Katipunan Avenue, It offers hip, modern, and stylish living that’s a leisurely walk from schools, restaurants, and shopping centers.. The LRT 2 is a few minutes’ walk away. The project will cater to students as this development is in the heart of Quezon City’s prestigious university belt, very near prominent schools (Ateneo de Manila University, Miriam College) and learning centers. SMDC Blue Residences Katipunan offers cozy studio, one-bedroom and two-bedroom units designed to suit the needs and the stylish lifestyle of college students, working students, academicians, professionals and even families. With one of the most enviable locations and priced as one of the most affordable in its class and with the easy financing scheme, SMDC Blue Residences Katipunan offers a very good investment opportunity. It’s strategic location would dictate the market – mostly students, professors and employees of the neighboring schools and learning centers – many of them rent spaces for the duration of their stay in the academy. SMDC Blue Residences. Comfortable and convenient living, for your life on the move. or email me at jacqui_asis@yahoo.com.